It’s hard to believe, but we’ve been selling our Legacy Prayer Journals for more than a year-and-a-half now! Customers have been returning to the shop to replace their journals that are filled to the brim with prayers. It is such a blessing to hear how your journals have motivated and directed your prayers and we think others should hear your stories too! 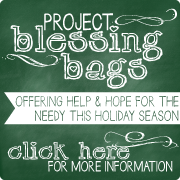 Or, maybe you are just getting started in your Legacy Prayer Journal but you have a friend who really needs one? On the other hand, perhaps your prayer life is a bit scattered and you are in desperate need of a journal to keep you organized and faithful in prayer?? We’d love your stories too! **Creativity is welcomed – and encouraged! **Submission deadline is Tuesday, May 21st at 8 pm (PST). 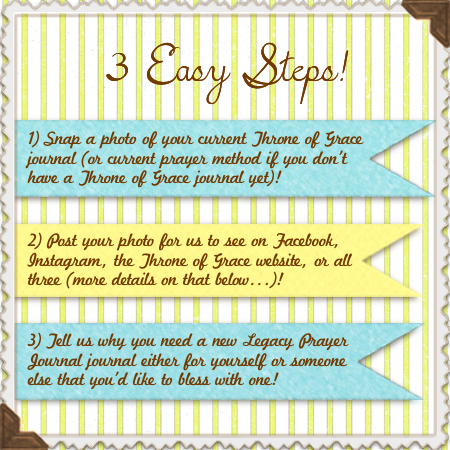 **Your photo and your plea for a new journal can be posted in any or all of the following ways: Email your entry to Throne of Grace at info@throneofgrace.com. We will then post it on our website for you. 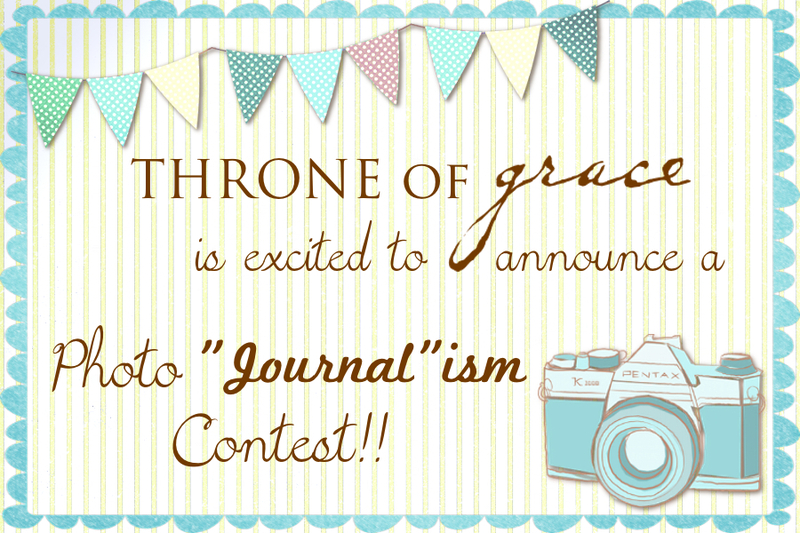 Post your entry to the Throne of Grace facebook page here: www.facebook.com/throneofgrace. Post your entry on Instagram using #throneofgrace (public accounts only!). **The winner will be announced here on Thursday, May 23rd!